Each week, Modern Restaurant Management magazine compiles restaurant industry headlines in MRM News Bites. This week, we feature new partnerships, the impact of color on diners and a pop-up recreating the Black Forest in 1683. Send items of interest to Executive Editor Barbara Castiglia at bcastiglia@modernrestaurantmanagement.com. 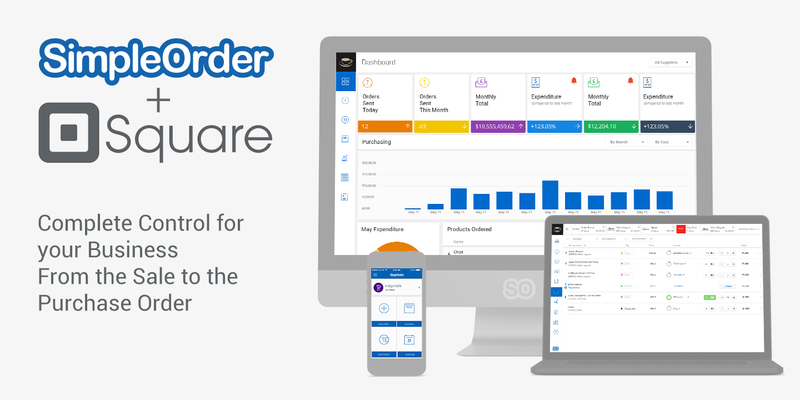 SimpleOrder, an all-in-one online inventory management platform has now integrated with Square. The partnership gives restaurants selling with Square access to SimpleOrder’s newly launched Automated Inventory System, which calculates and manages inventory levels in real-time, based on purchasing and sales, streamlining restaurants’ entire Back-to Front operations. The integration follows SimpleOrder’s recent $2.75 million series A funding announcement, the launch of its new Automated Inventory System and rapid company growth. The startup has increased its international client base to more than 1,700 locations including leading restaurants, chains and suppliers in 15 countries over the past year. The restaurant industry remains almost unique in the retail world for its lack of systematic, digitized inventory tracking – leaving many managers and chefs in the dark regarding their real-time inventory. Many restaurants still handle stock counts with pen and paper– when by then it’s usually too late to make any critical adjustments or correct profit-slashing mistakes like over-ordering, over-portioning and leakage. Founded in 2012, SimpleOrder is the first online platform for restaurant purchasing and inventory management that manages restaurant inventory down to the specific ingredient. SimpleOrder’s accompanying application (iOS, Android) is easy to use and allows restaurant management, suppliers, and vendors to connect and communicate easily and efficiently, all with a click. With real-time reporting, inventory management and recipe costing, SimpleOrder makes running a restaurant easier and more effective while improving the bottom line. Square creates tools that help sellers of all sizes start, run, and grow their businesses. Square’s point-of-sale service offers tools for every part of running a business, from accepting credit cards and tracking inventory, to real-time analytics and invoicing. Square also offers sellers financial and marketing services, including small business financing and customer engagement tools. Businesses and individuals use Square Cash, an easy way to send and receive money, as well as Caviar, a food delivery service for popular restaurants. Square was founded in 2009 and is headquartered in San Francisco, with offices in the United States, Canada, Japan, and Australia. Dinova LLC, the only innovative, proprietary marketplace exclusively focused on connecting expense account diners to quality restaurants nationwide, announced a third quarter year-over-year increase of 13.6 percent by corporate enterprises in its preferred restaurant network. This increase comes after restaurant traffic as a whole is down for 2016; casual dining alone fell as much as eight percent from 2015. As 2016 comes to a close, Dinova has brought more than 700 new restaurant locations into its marketplace as it continues to add increasingly diverse restaurant concepts to its more than 14,000 restaurant locations nationwide. 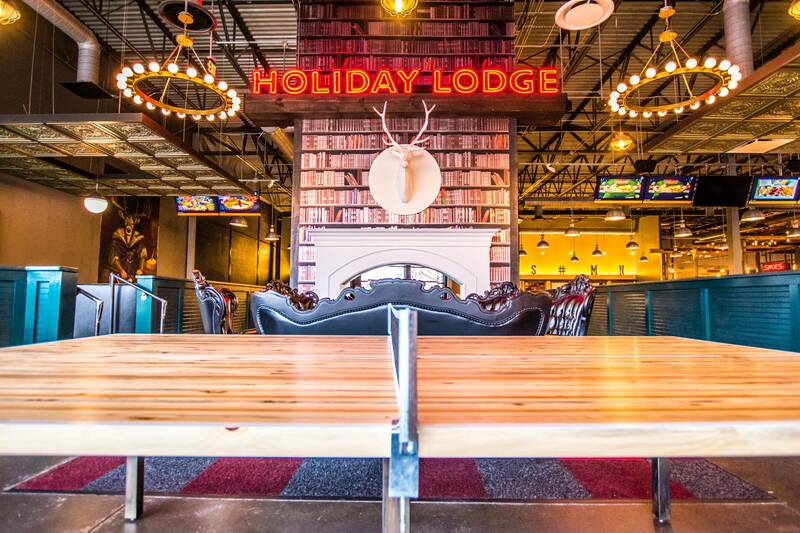 High-profile restaurants recently added to the marketplace include, Granite City Food & Brewery, Cadillac Ranch, and 101 Concepts. “While new to the Dinova family, we are already pleased with the results we have seen in just one month. Dinova gives us a chance to reach corporate diners on a Monday through Thursday, when the need to fill our restaurants is the greatest. We love the opportunity Dinova provides to connect with new faces and create a lasting relationship with local businesses at an affordable rate,” said Steve Buero, Partner and Owner of 101 Concepts. Denon® Electronics is partnering with Mood Media to make Mood Mix available on the HEOS wireless multi-room sound system. Moving beyond home use, HEOS now brings its wireless music experience to businesses with Mood’s commercially licensed streaming music service called Mood Mix. Through the HEOS app, available for iOS, Android™ and Fire® devices, HEOS users can easily access the Mood music service. Mood Mix gives business owners a new level of choice and control with their in-store music, allowing brands to easily program and customize their soundtracks by mixing hundreds of musical genres, artist-inspired playlists, and music organized by decades, tempo or mood. Mood’s clients include businesses of all sizes and market sectors, from the world’s most recognized retailers and hotels to quick-service restaurants, local banks and thousands of small businesses. There are many factors that play into our opinions of a restaurant. Though it may not be the first thing you think of, colors have a big impact on the dining experience. To quantify the effect of color on the human mind, SCA Tork measured the brainwaves of diners. Their findings provide tips on how to choose the right colors to set a mood. To measure how color really affects a diner’s emotions, Tork created an experiment placing 16 people in eight different cubicles, each with its own monochrome color scheme. Everything from the walls to the floor, including furniture and tableware, were a single color. In each stage, guests were given an identical drink and a macaron matching the color of the cubicle. To measure emotional reactions, the participants’ brain waves were recorded via a special headset. Brainwave frequencies have been linked to corresponding states of mind, from deep relaxation to active stimulation. The brainwave analysis revealed consistent patterns in the emotions induced by each color. For example, red stimulated the delta and theta wave ranges – meaning strong emotional connections and creativity. In contrast, blue had a calming effect. “Goethe created the first color theory in 1810. Our ambition isn’t to challenge existing theory, but rather provide insight into color selection in restaurants,” says Julia Wood Senior Product Manager. The colors of the dining room are one of the few things restaurant management can always control. To help you choose the right color palette, Tork created a guide profiling the attributes of each color from the experiment. Those colors can all be found in the Tork tabletop assortment, which offers a complete selection of napkins, table cloths, custom printables and more, all in the color that suits your mood. Gaggenau, the German manufacturer of home appliances, teamed with San Diego based The Lambesis Agency to recreate Gaggenau’s historic birthplace in The Black Forest in southwest Germany, bordering France. 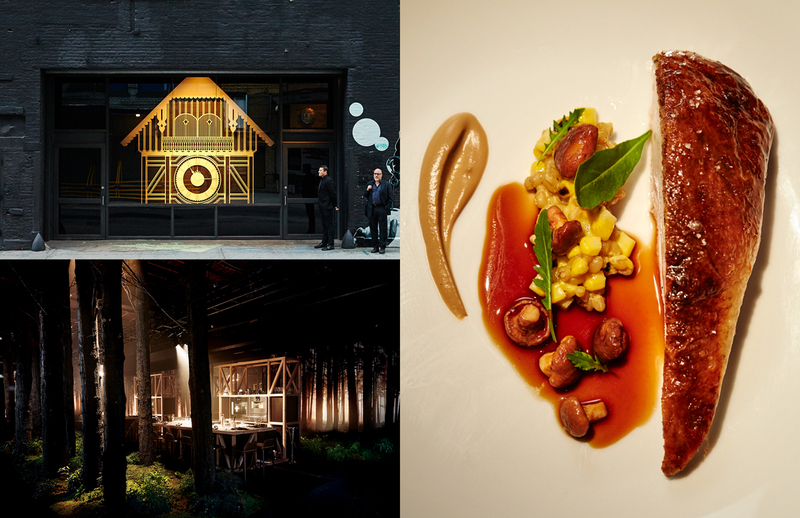 Together with three Michelin Star chef Daniel Humm, award-winning architect Hendrik Müller of einszu33, and set designer Stefan Beckman, The Lambesis Agency transformed New York’s famed Chelsea district at Art Beam into a literal Black Forest in 1683. 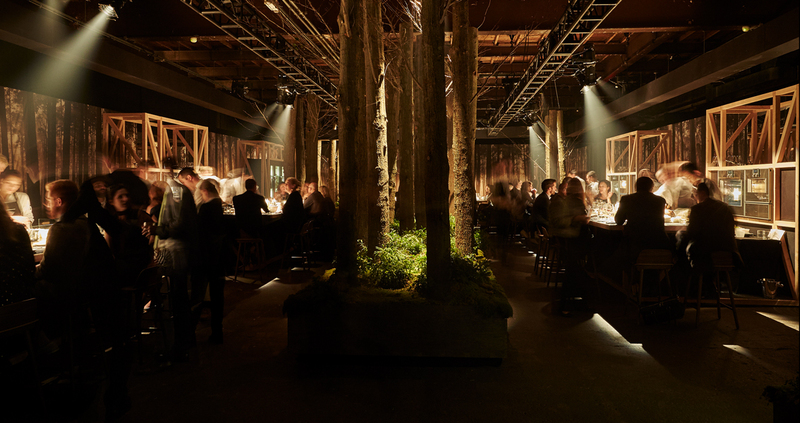 Complete with forest inspired cuisine, artfully crafted with Gaggenau’s ultra-luxury appliances, a Cesare Cera soundtrack, a live blacksmith and German folklore enriched the forest ambiance. Immersing an elite American guest list, the multi-sensory experience transcended the parameters of a typical brand experience with three centuries of Gaggenau history and culture. “Restaurant 1683 is one of those rare, money can’t buy experiences, bringing Gaggenau to life in a subtle, yet powerful manner,” said Architectural Digest Publisher/ Chief Revenue Officer and event guest Giulio Capua. Originally tasked with introducing Gaggenau to an elite, and often hard to reach, American customer, Restaurant 1683 ignited an unprecedented response from the luxury culinary world. With only 250 exclusive guests in attendance over the four-day event in September, influencers, celebrities and elite guests sparked a social and media reach that exceeded 80 million brand impressions. 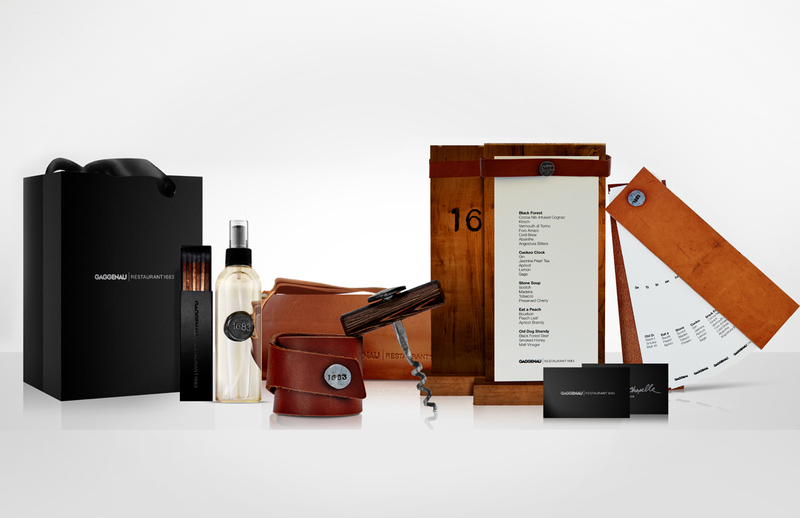 Extending into media, digital, public relations, advertising, CRM and social, the ‘Restaurant 1683’ campaign is only just beginning. The momentum of the NYC event will continue with real world and digital experiences over the next three years with additional Restaurant 1683 pop-up events and a series of exclusive showroom and retailer experiences. DineTime launched its first skill for the Amazon Alexa voice service, giving customers the ability to interact with Alexa-enabled devices such as the Amazon Echo and Echo Dot. 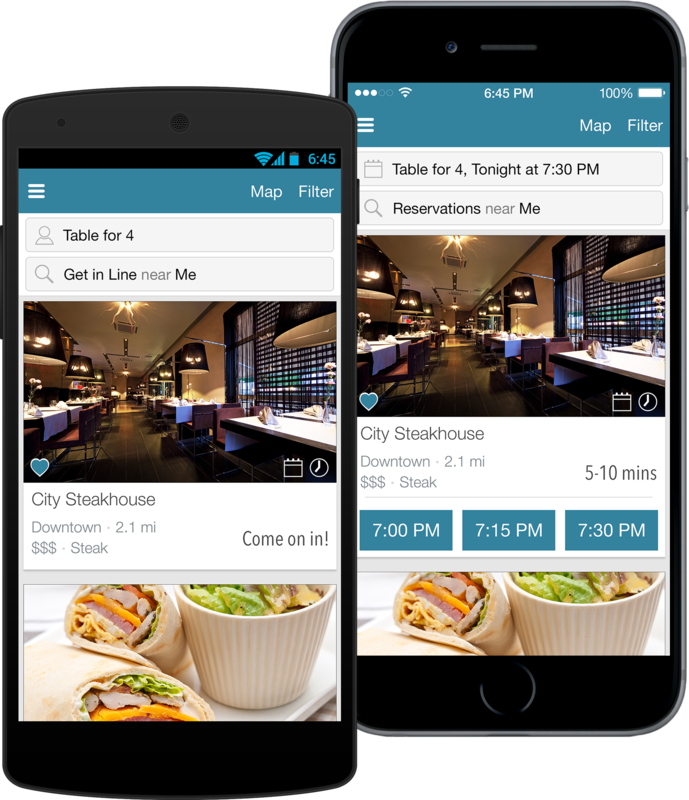 The new DineTime skill provides diners with the convenience of real-time information about restaurants near them, as well as wait times. The DineTime voice-activated skill to hear details on restaurant wait times is the first of its kind for the restaurant industry. Other features embedded within the skill allow diners to ask for specific details regarding restaurant locations, wait times, distance and more. DineTime is working to unleash more interactions with the Alexa voice skill, including the ability to add a party to a waitlist and allow users to make specific day and time reservations. The DineTime Skill for Alexa is now available for free through the Amazon Alexa app available on iOS, Android and Fire tablets. Users can also voice enable the skill by simply saying “Alexa, enable the DineTime Skill.” The DineTime skill is available for all Alexa-enabled devices, including the Amazon Echo, Echo Dot, Amazon Tap and Amazon Fire TV. Punch Bowl Social, the leader in the “eatertainment” movement, announced today that it will open a 25,000 square-foot restaurant, bar and entertainment concept in Arlington’s Ballston Quarter in June 2018. Punch Bowl Social pairs a Hugh Acheson designed, scratch-made menu and craft beverage program with “old-school” social activities like vintage video games, shuffleboard, private karaoke rooms, bowling, Ping-Pong, bocce and skee-ball. Already a hit in other cities and a proven millennial magnet, Punch Bowl Social Ballston will include eight bowling lanes, one bocce court, three private karaoke rooms, a custom built 360 degree bar and various lounging and gathering spots – for groups both large and small – housed in an eclectic space melding mountain lodge, Victorian and modern industrial design themes. 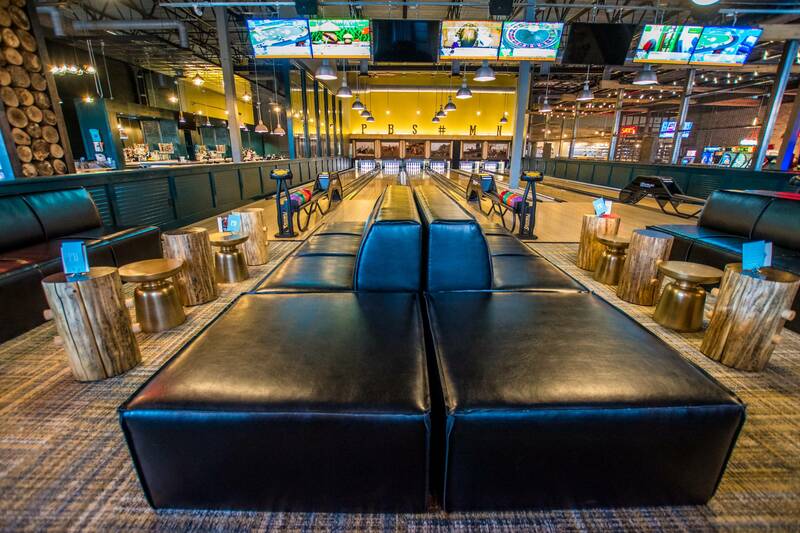 Punch Bowl Social Ballston marks the company’s first east coast location. Other cities include Detroit; Cleveland; Portland, Ore; Austin; and Denver, Colorado, where Punch Bowl Social originated. PeopleMatter FIND™, the amount of total applications processed by Snagajob has increased by 166 percent. Two of the top restaurant industry brands have already committed to using the product across all of their locations. Additionally, employers beta-testing the new product saw a 20 percent increase in rate of monthly processed applications. Hiring managers can now share their open positions with Snagajob’s 70 million registered hourly workers in one click, directly from within the PeopleMatter product. PeopleMatter FIND lays the groundwork for future innovations that offer unique candidate sourcing solutions unavailable in any other hourly platform. The company will soon provide their customers with the ability to search Snagajob’s active candidate database, proactively invite job seekers to apply for positions, and view an analytics dashboard on sourcing performance and candidate quality. Paris Site Furnishings introduced the Lucid series backless bench which offers user comfort along with unparalleled promotional, branding or messaging opportunities for restaurants, hotels, motels, and other hospitality industry venues. 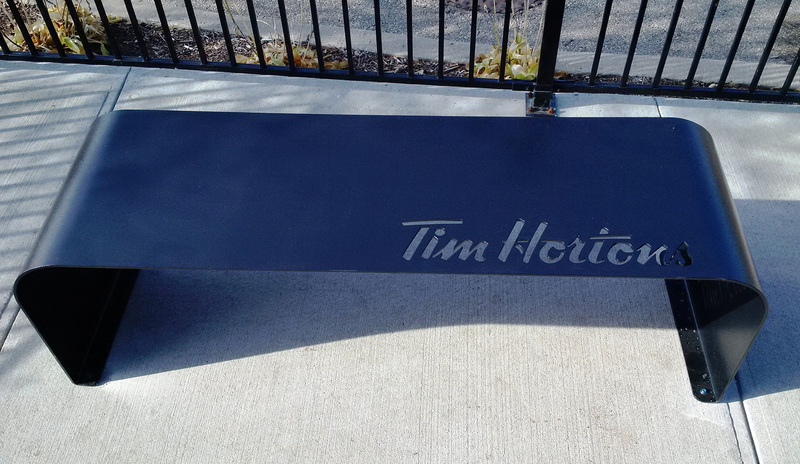 The five-foot steel, powder coated bench includes a large area to accommodate a logo or messaging along the bench seat which can be wrapped along the side, to promote identity or branding. Unlike logos applied with paint or decals, the message on Lucid benches is laser cut and integral to the bench, it will not chip, peel, fade or become discolored. These one-piece, ready to install benches are available in standard colors including red, blue, white, grey, green, yellow and beige, with custom colors available as an option. Backless Lucid benches are manufactured of ¼” mild steel so they are strong and durable. They are then rust-proofed and powder coated to withstand the elements. Built in-anchor holes allow secure mounting to a solid surface like concrete. They can be approached and used from either direction, making them ideal for outdoor usage. Manufactured in Princeton, ON and available factory direct or through distributors and dealers throughout North America. 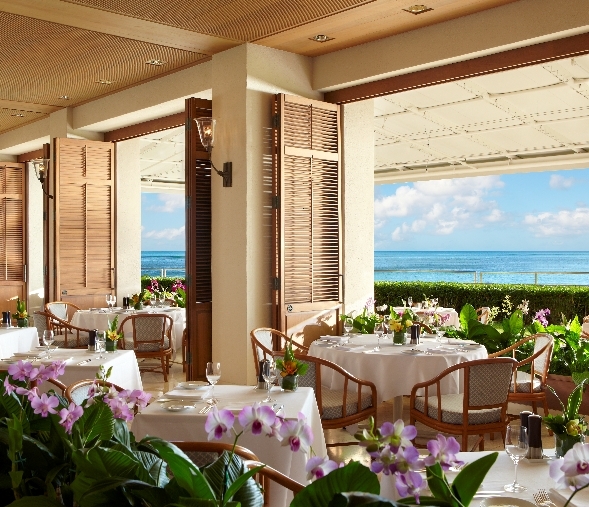 Halekulani in Oahu’s announced the newly conceptualized menu at one of its five award-winning dining venues, Orchids, and the two recently appointed Food & Beverage executives behind the cuisine. 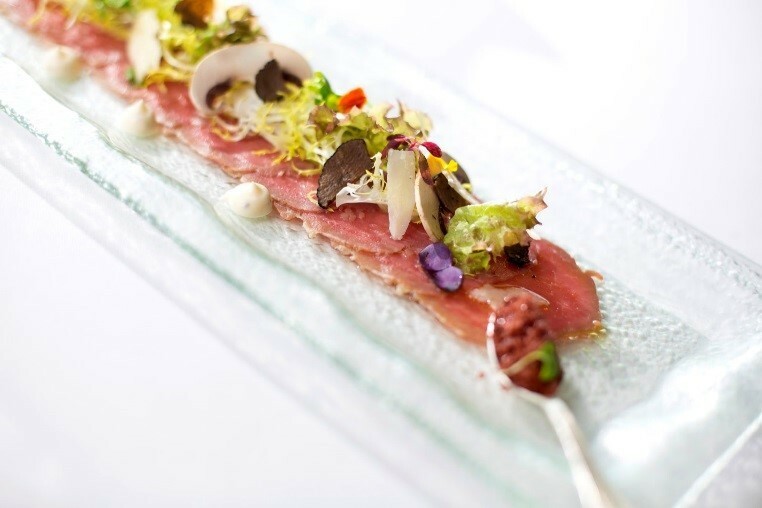 The duo of Executive Chef de Cuisine, Christian Testa alongside Orchids General Manager, Dante Camara, reintroduce Orchids with a fresh and innovative culinary focus, integrating local Hawaiian and coveted European ingredients into masterful Mediterranean-inspired, coastal Italian cuisine. In celebrating the sophisticated flavors of the coastal Italian regions, Chef Testa has infused his own distinctive flair to create signature dishes for Orchids including a Harris Ranch Prime Beef Fillet appetizer, served with thinly sliced prime fillet, arugula salad, parmesan, mushroom and truffle aioli; Homemade Lasangette featuring freshly chef-made pasta, local Kahuku prawns, scallops and avocado; and the Seafood Carta Fata made with local Hawaiian onaga (red snapper), clams, mussels, scallops, shrimp, crouton and fresh tomato sauce. Chef Christian Testa hails from Genova, Italy, renowned for its exquisite seafood, abundance of fresh vegetables and skillfully invented dishes. 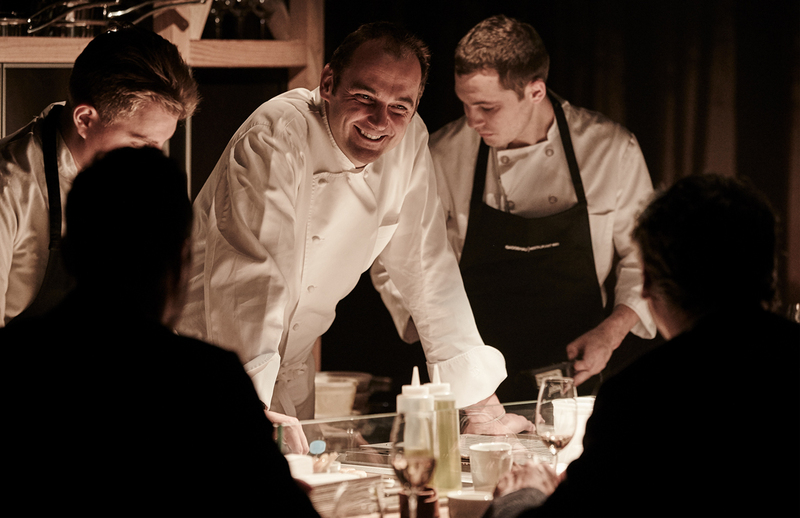 His extensive knowledge of Italian and international techniques gained from his previous experiences at acclaimed hotel kitchens across the globe, such as the Splendido Hotel in Portofino and La Coquille in Bermuda, has developed Testa into a young master of Italian cuisine. His unique technique allows him to create elegantly simple and flavorful dishes utilizing the finest of locally-sourced and global products in his deftly energized menus. Partnering with Chef Testa and overseeing all operations at Orchids, Dante Camara is a native of Hawaii, who has worked as a restaurateur for more than 20 years. 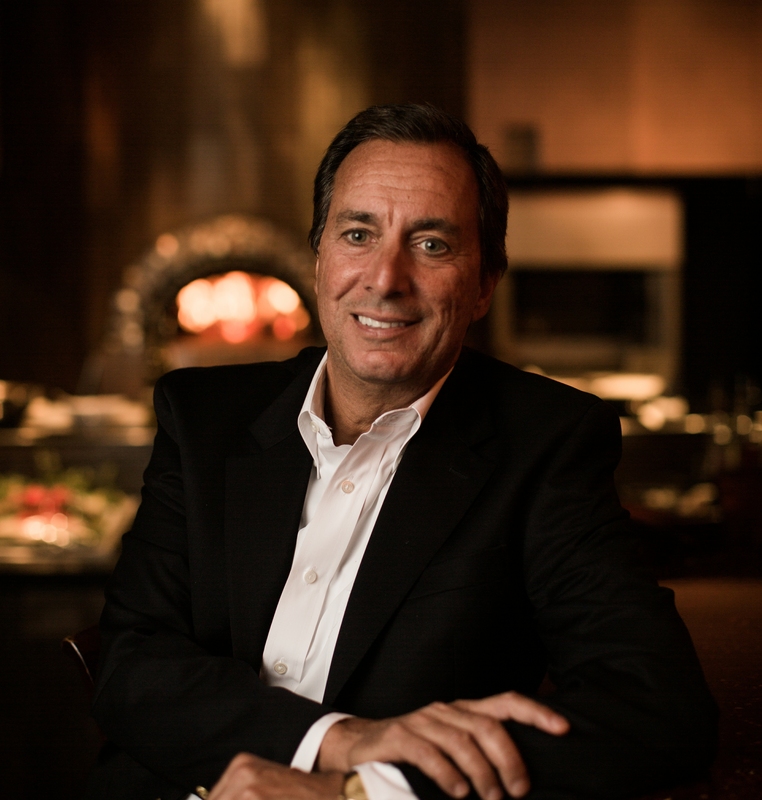 While on the mainland, he worked in New York City at Daniel Boulud’s restaurants and Andrew Carmellini’s A Voce Italian Restaurant, as well as Wynn in Las Vegas. In Hawaii, Dante has worked as General Manager at Azure in the Royal Hawaiian Hotel and General Manager of Hoku’s at the Kahala Hotel & Resort. The combined years of experience and techniques from Dante Camara and Christian Testa will bring a new and refined touch to the quality and presentation of the food and cultivate the overall Orchids experience. 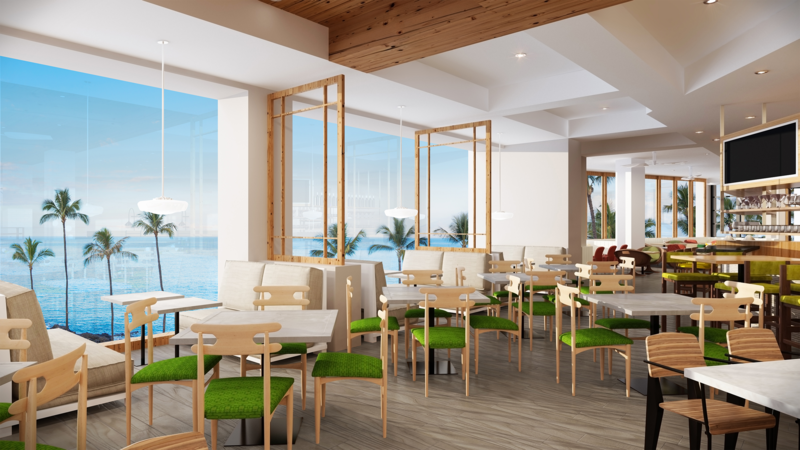 Humble Market Kitchin by Roy Yamaguchi makes its global debut at the Wailea Beach Resort – Marriott, Maui. As part of the resort’s $100 million renovation, the venue serves as the property’s signature dining venue, led by Chef Roy Yamaguchi. The casually sophisticated dining experience features an internationally influenced menu inspired by Japanese, Filipino, Chinese and Hawaiian cultures. Perched on one of the highest points at the resort, the restaurant draws influence from the resort’s reimagined identity and coveted shoreline location. Its open layout features indoor/outdoor seating, breathtaking views of the Pacific, and textures, surfaces and colors that reflect the surrounding mountains and ocean, creating a strong sense of place. Credited as the pioneer of the Hawaii Regional Cuisine movement, Yamaguchi owes his deep connection to Maui to his grandfather. Having grown up in Japan, the James Beard award-winner spent childhood summers in Wailuku, Maui where he volunteered at his grandfather’s general store. During those formative years, Yamaguchi gained an appreciation for the fresh ingredients and multicultural flavors of Hawaii. The menu at Humble Market Kitchin pays tribute to these influences through signature offerings such as a special poke recipe prepared tableside, a raw bar featuring local seafood, an inventive sushi menu with one-of-a-kind rolls and local, line-caught whole fish preparations. Cargill demonstrated an intensified commitment to innovation in food, nutrition and food safety as the company opened two major R&D facilities in November and December—one in North America and one in China—focused on continuous improvement and investing in the future of food to meet shifting consumer expectations. These two new centers join regional food research and innovation centers in Campinas, Brazil; Vilvoorde, Belgium; Beijing, China; and Wichita, Kan., as well as local food application facilities, animal nutrition research centers and product development centers around the world. 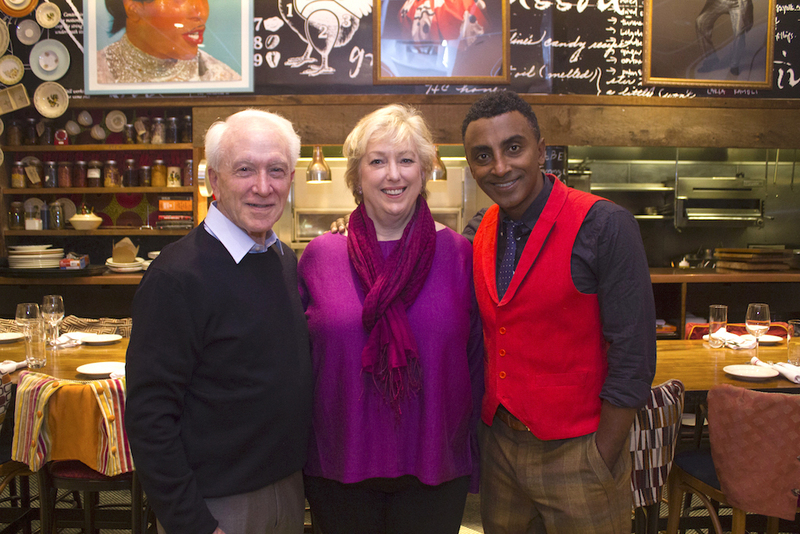 The Careers through Culinary Arts Program (C-CAP) Board Co-Chairs Marcus Samuelsson, award-winning chef and owner of the acclaimed Red Rooster Harlem restaurant and cookbook author, and Mark Weiss, Chief Investment Officer of RFR Holding LLC, announce that Karen Brosius will become President of Careers through Culinary Arts Program (C-CAP), the national non-profit organization that changes lives of underserved youth by providing career opportunities through culinary arts education, scholarships, job training, and employment in the restaurant and hospitality industry. Brosius will return to New York from her latest position as Executive Director of the Columbia Museum of Art in Columbia, South Carolina. Under her guidance since 2004, the museum has become one of the leading art institutions in the Southeast, a leader in audience development and arts education, and a key catalyst for tourism and economic development in the state. The museum was the winner of the 2016 National Medal for Museum Service, the United States’ highest honor for museums, which was awarded by First Lady Michelle Obama in a special ceremony at the White House this past June. Prior to joining the museum, she played a key role in national philanthropy and in community nonprofits and arts organizations working for Altria Group, formerly Philip Morris Companies Inc.
“C-CAP has an incredible system in place that, through education and training, prepares underserved youth for careers in the culinary and hospitality industries. The program is also of great benefit to chefs in our industry who are constantly looking for skilled and motivated employees,” said Samuelsson, C-CAP Board Co-Chair. Since being founded by Richard Grausman in 1990, the organization has awarded over $50 million in scholarships, provided job training and internships, college and lifetime career support, teacher training and product and equipment donations to classrooms across the country. C-CAP works with over 17,000 students nationwide each year. Through C-CAP’s efforts, a large number of its students find rewarding careers in the foodservice and hospitality industry. Many alumni, now graduates of top culinary schools, are working in leading restaurants and hotels throughout the country. For the fourth year in a row, C-CAP received a four-star rating from Charity Navigator, the highest rating from the nation’s largest evaluator of charities. 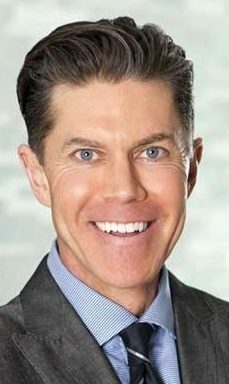 Modern Restaurant Management (MRM) magazine legal columnist Jeffrey S. Horton Thomas of Thomas Employment Law Advocates, APC has joined other top business leaders as a member of the Board of Directors of the West Hollywood Chamber of Commerce. Thomas was appointed by Board Chair Keith Kaplan and approved by the full board. “As a staunch advocate for employers, I’m privileged and excited to have this opportunity to serve our business community on the Chamber board,” said Thomas. Thomas joins other top businesses on the Chamber’s Board of Directors, including representatives of Cedars Sinai Medical Center, Wolfgang Puck Catering, the Mondrian, the Standard, the Andaz, and the London hotels, Lisa Vanderpump’s Sur and Pump restaurants, Gracias Madre, Craig’s, Taste and Tortilla Republic restaurants, Wells Fargo, and U.S. Bank. Though the firm represents hospitality and other businesses throughout Southern California, the firm has represented many of West Hollywood’s most prominent businesses. Thomas is one of only 100 attorneys from throughout Los Angeles nominated for a Los Angeles Business Journal’s Leaders in Law Award in 2016 in recognition of his exceptional legal skills, community involvement and power client list, particularly among restaurants, bars and nightclubs. Thomas has been recognized as a Southern California Super Lawyer in Los Angeles magazine each year from 2014 through 2017. U.S. News – Best Lawyers again recognized Thomas individually for 2017 as one of the most effective employment defense litigators in America and the firm as one of the Best Law Firms in America for 2017.